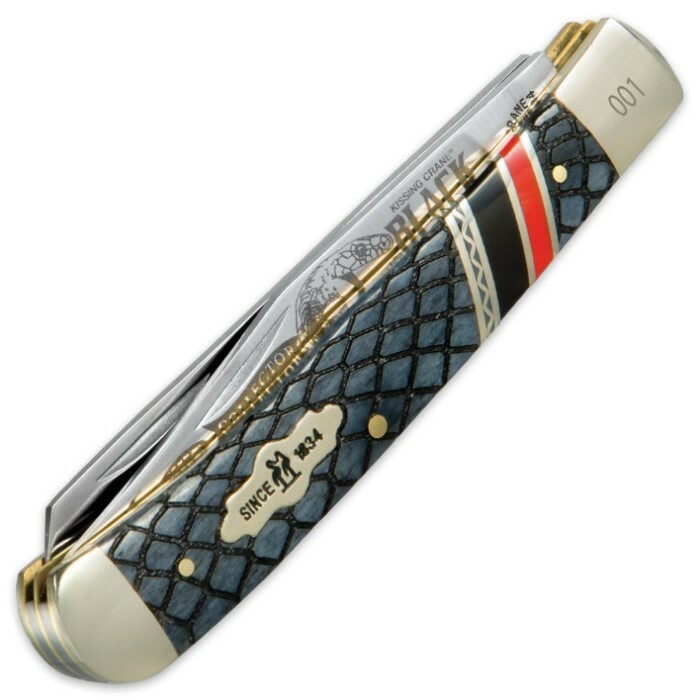 Kissing Crane Black Mamba Trapper | BUDK.com - Knives & Swords At The Lowest Prices! Watch out! 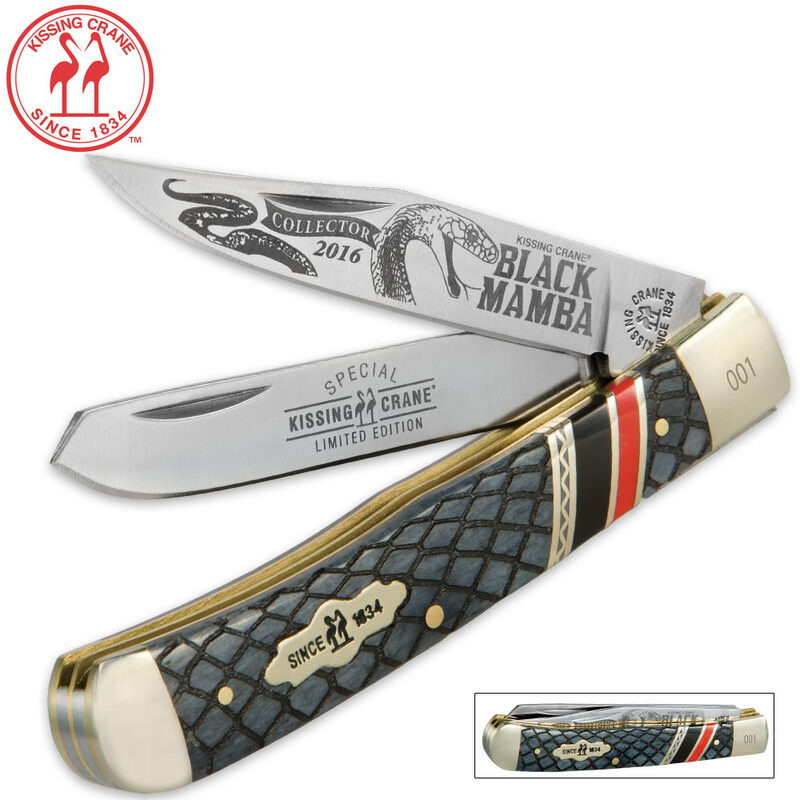 The Kissing Crane Black Mamba will “strike” you with its stunning snake skin design. This limited edition trapper knife has super sharp, stainless steel blades that have been laser-etched to carry through the Black Mamba theme. 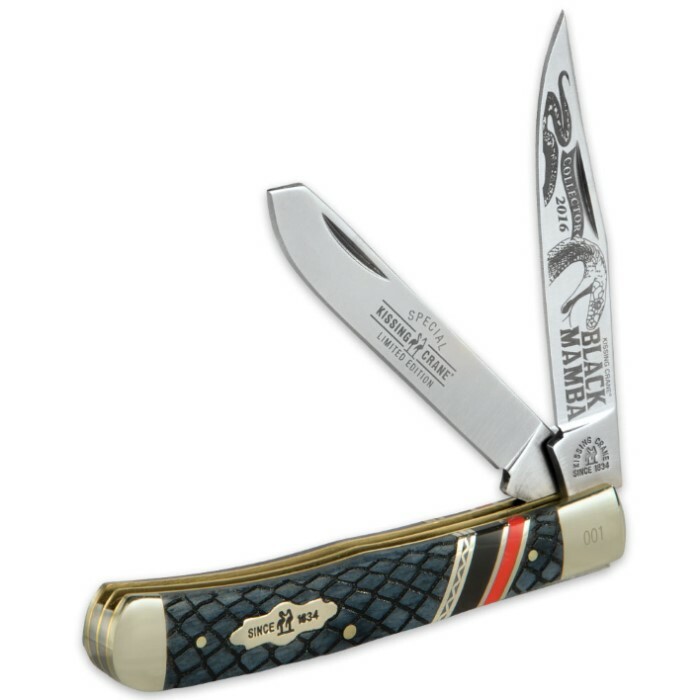 It features nickel silver bolsters and a brass liner. The decorative handle is of bone and stone. It is 4” closed. This is a great gift idea or a knife to add to your collection.